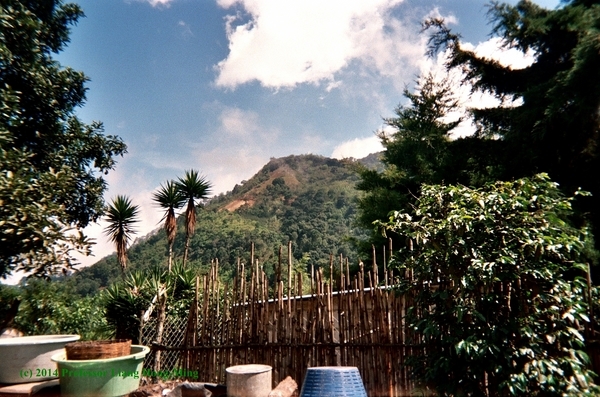 When I was in Guatemala, the group I was with spent a day landscaping for a new women’s center. This was the most physically backbreaking work I had ever done, and we Minnesotans were sweating it out under the hot Guatemalan sun. During our lunch break, as we guzzled water and wiped the sweat off of our dirty faces, our translator told us that the crew of Guatemalans we were working with wanted to take a siesta in the afternoon because it would be too hot to work. Knowing “siesta” translated to “nap” we were thrilled. We began talking excitedly about how we were going to spend the afternoon sleeping in the cool sweet shade of the trees. We went back to work, and around two in the afternoon the translator said the Guatemalan crew wanted to stop for the siesta. Shouts of joy arose from the Minnesota bunch. But the translator went on to say that the Guatemalans had invited us to play “fútbol” with them. I had to laugh. Apparently, a “siesta” in Guatemala doesn’t necessarily mean a nap or rest. The Minnesota people could think of nothing but resting after a hard day’s work sweating it out in the hot mountain air. The Guatemalans wanted a break too, but their idea of a break from a hard day’s work in the hot sun was an active game of fútbol. We did join in their game and had a great time. I would gladly choose fútbol in Guatemala over a nap any day. The Middle Ground Journal will share brief dispatches from our student interns, particularly from those who are currently stationed, or will soon be stationed abroad. Student interns have reported from Mongolia, Southern China, Shanghai, northeastern China, The Netherlands, Tanzania, Ireland, England, Finland, Russia, and Haiti. We also have students developing presentations on theatrical representations of historical trauma, historical memory, the price individuals pay during tragic global conflicts, and different perceptions of current events from around the world. We will post their dispatches here, and report on their interactions with the North Star Reports students and teachers. This article was a joy to read and I can just picture how you must have felt in Guatemala– us Minnesotans aren’t used to that type of weather! It sounds like you had a lot of fun and I’m glad to hear you participated in futbol even though you were exhausted. It sounds like you had many enjoyable experiences and I would be interested in hearing more about their culture and lifestyle. Ah, this entry gave me a nice laugh after a few hours of studying. Imagining the situation (Peanuts style). Nonetheless, your experience sounds lovely and you survived the heat – a braver soul than I. Thank you for sharing! I really enjoyed this article. It was funny and it just kind of shows the differences of the two countries and their ideas of a break. As a sports fan, I would enjoy playing soccer as well with them. Great read. I’ve been telling my fellow classmates to go workout instead of take a nap for a study break, and this is a perfect example! Although I don’t know how I would feel about working hard outdoors, and then working out. It was a fun read! This article was a funny read! I love how the Guatemalans version of a break is a game of soccer in the hot sun! This sounds like a great experience. In my high school we had a few exchange students from Guatemala that I became friends with and knowing how they were, this story actually doesn’t surprise me :p . Thank you for sharing your experience! The picture with this article is breathtaking! I really like this article, it made me laugh!! Also its really awesome that even after a long day of work they want to go play and be more active, the US should take some of this in consideration! I really like your story! I played soccer since before I can remember and I can relate that after a long hard day of work, I definitely wouldn’t want to play in a soccer game. I could only imagine your first thought when you learned that their idea of a siesta wasn’t taking a nap, but since you did play, and are glad you did, you know have that experience. Thanks for sharing! That’s such a cool story. I remember when I was in Mexico doing missions work how hot we would get when we were working on buildings. There were always children in the neighbors holds near by that would want us to play soccer with them which was such a rewarding experience. I definitely would have jumped for joy at the thought of napping after a tough day of work too! I am sure that the translation of siesta must be like a break and not necessarily a nap and futbol must be how Guatemalans want to spend that break. This was such a fun story to read and I can only imagine what the weather was like there. Us Minnesotans aren’t used to that type of labor in that extreme heat, but I’m glad to hear that you enjoyed yourself playing soccer. I myself have been playing for quite some time and would love to experience a pick up game of futbol. I enjoyed reading this article, because it shows how hard working people around the world are. I don’t think here in the U.S. we would ever think of doing a physical activity after a hard days work. We would probably be looking forward to getting in our beds at the end of the day. When it gets “hot” in the summer in Minnesota it’s hard to get out to do any vigorous activity, so I don’t know how I would have been able to there! Once you start playing, the enjoyment of the game over takes the want to sit and rest, You could rest anywhere, and it doesn’t provide the memories. This was a great article! The way in which you were able to describe this brief moment in time in the everyday life of a citizen in Guatemala was very lovely. It’s always interesting to see how words and phrases have so many different meanings throughout different cultures! Very funny story I could imagine the frustration with the language issues, but by reading this story really has got me planning on when and where I want to travel. Outside the United States of course. I was glad to read that you ended up enjoying your alternative “siesta” option. It is great that everyone made the most of the experience while on the trip, and that you fully emerged yourself in the culture of the people around you. I always find it interesting to see how many words and phrases get lost in translation and misunderstood between two different cultures. Thanks for sharing. This was such a fun story! I’ve lived in the hotter areas of the US before and I know it’s drastically different than the cool Minnesota summers we have up here. I liked reading how you all jumped headfirst into the experience and how the intricacies of translation can lead to little misunderstandings.I’m sure it was a wonderful experience and I hope everyone can learn a little piece of that culture from this story. This story made me laugh! It’s funny how the same word can have different meanings, and in your case it meant something totally different than what you thought. It sounds like you had a great time! Great article! It’s amazing how much different the lifestyle there is compared to Minnesota. It must have been a difficult transition to go from the cold Minnesota all the way over to the scorching Guatemala, and not even get your rest from the labor. It’s awesome how a game can also bring cultures together, and I personally am a huge fan of soccer. I’d agree with everyone else in saying this article put a smile on my face. I think it’s funny the types of words non-speakers pick up from certain languages – cerveza, baño, siesta, etc. – it shows exactly what’s on our minds. Great story and I hope you enjoyed the trip! This was such a great entry! I love that after a long day of work in the scorching sun, they decided to play a game of soccer with each other instead of retreating to the cool shade of the sun. They choose to spend time together playing a game that spreads across most countries! I am a giant fan of “futbal.” I hope your trip was great! This was a great article! I had a laugh when you were already planning out your nap, and ended up figuring out you where going to play futbol. It is great how they still want to have some fun after a hard day of work. Very enjoyable to read. I’m sure I would have thought the same thing had I been there. That being said, I wonder where the siesta=nap notion came from and how it has been engrained into meaning that for english speakers, at least in the U.S.. I’m guessing popular culture perpetuating the “lazy” stereotype. I drove by a “Mexican” restaurant one time and amid the cactuses and Mesas painted on the exterior walls, there was a painting of a cowboy taking a nap under is incredibly large sombrero—what many would call a siesta. Perhaps, similar ways engrained siesta to mean nap for you. One of the things that I can relate to is the weather. After staying here in the USA just for a year, I went back to Zimbabwe, during the “winter” and I couldn’t bear the sun; it was actually a hot winter. How would that be for someone who has lived in Minnesota all their life? Great article by the way! This article was joyful and sweet! It made me laugh when you found out what the “nap” really was. I find it so interesting how lifestyles differ across the world. I really enjoyed reading this article. Is it not interesting how cultures differ? I think it is amazing how a word can mean totally two different things in different countries. Thanks for sharing! This article gave me a good laugh and even got me thinking about taking a nap myself! But I thought it was interesting how hardy the Guatemalans are in that they wanted to play a game in the sun even after a long days of work. I wonder if the Guatemalans did this on purpose, knowing that the Americans would have thought that “siesta” means nap. I really enjoyed your story. It made me laugh and think about the differences people have when it comes to taking breaks. And I found it funny that the students thought they were going to get a nap. This was definitely a funny read! It’s interesting to see how the same word can be used in different languages but have completely different meanings and this is a great example of that! I can see how Minnesotans can have trouble with the hot glaring sun. It always fascinates me to see how nonchalant people from Duluth act when it is obviously freezing; the contrast is interesting. I can also see why the Guatemalans choose to play instead of nap, they are probably used to working hard everyday and would want to use their extra time in recreation instead of resting because otherwise they will not have time for these activities. Their lives would just be sleeping and working. I can’t even function in heat, and with the glaring sun mixed in, I would absolutely die. I had a hard enough time living in the dorms in August. I love seeing differences between people like this. If it were turned the other way around with the Guatemalans in the snow, they probably would have had a similar reaction to what your group had when a siesta was brought up. I enjoyed reading this. Nice job! This was a very fascinating and hilarious article! I can understand the idea of working in extreme heat and being a Minnesotan doesn’t help. I really enjoyed that the Minnesotan’s idea from a siesta wasn’t at all close to the Guatemalans idea. At least you had fun though! The work you are doing over in Guatemala sounds life changing! It really makes you appreciate all that you have back in the United States. But yes, I would be exhausted as well, but you don’t make fun memories by sleeping as its said! I like this story! Sometimes a nap is needed but getting up and active definitely helps. It is a good way to wake yourself up again to. After a long day of sweating to, why not sweat more. As a soccer fanatic I wish we could do that with our everyday jobs here. Stop and play in our breaks instead of relaxing. That reminds me of school and how we used to play in our lunch times sometimes forgetting to even eat. This story really made me laugh for sure! I knew that it was typical to take a siesta during the work day or after in many Hispanic countries. However, I did not know that the siesta could be something other than its literal translation of napping. I think it is really cool that you had the chance to play some futbol with the workers after a tough day! I can’t believe that after saying that it was too hot out to work that they wanted to play an exhausting sport though! Thank you for sharing this great story!